Windows Presentation Foundation (WPF) is the de-facto Windows desktop technology. WPF allows the rapid creation of desktop applications with amazingly complex functionality. The hard part has always been to make desktop application look good. Functionality may be excellent, but the square controls and gunmetal grey colors don’t have any wow-factor. I’ll show you how to add the WPF skins from Syncfusion to your UI. It involves a few easy steps. 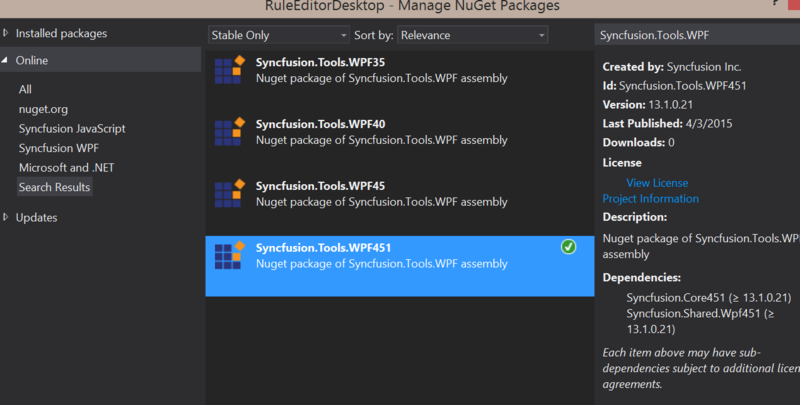 First, I’m assuming you’ve added Syncfusion WPF NuGet sources to Visual Studio. I’ve explained that in a previous post: Syncfusion NuGet Sources. For this example, I’m going to use the Blend style. You need to add a resource dictionary source to the theme you want. Run your application. You’ll see all the controls have now changed to use the Syncfusion theme. Reach out to me if you run into problems. Happy coding with WPF.